Not that I’m an expert, but I’ve never seen a Gucci store so crowded that a line formed out the door. It wasn’t a shock to find something like that in Hong Kong. The real shock came later. Hong Kong reminded me of Manhattan. Apartment prices are as high as the skyscrapers which blanket the landscape. Banks seem to dominate the city and we saw western brands and stores like Patagonia that we haven’t seen since we were home. We had dim sum, the traditional small plate breakfasts, almost every single day — so delicious. One of the best parts of our visit was seeing Sasha’s friends from boarding school. Who showed us around town, cleaned our teeth, and fed us so much food we could barely move. We told Sasha’s friend Letty that we had never seen a line out the door of a Gucci. She explained that these weren’t residents of Hong Kong, but that they were mainland Chinese who travel to Hong Kong to shop. The Gucci staff here all speak Mandarin in addition to Cantonese to better serve the mainland customers. She says, that if you’re not from the mainland, the service staff won’t pay you much attention since your likely to buy only one thing. There are multiple Gucci’s, Louis Vuittons, Channels, etc and they all have the same story — swarming with mainland Chinese customers. 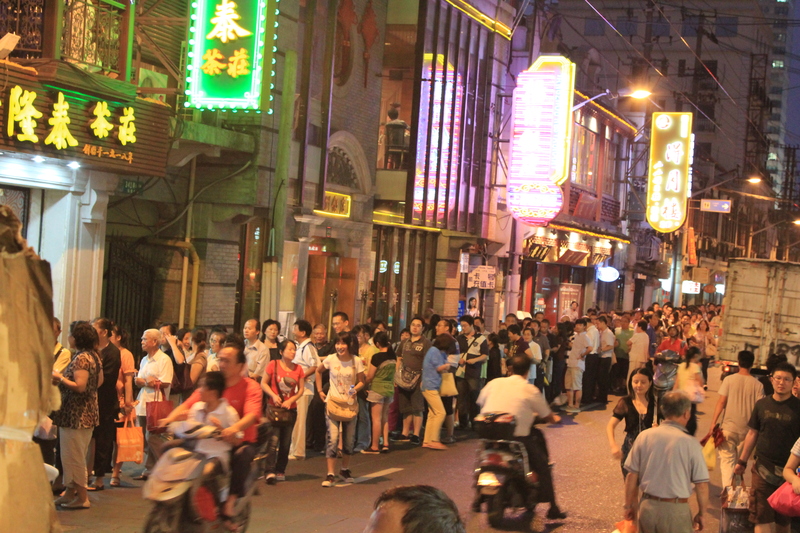 Over the last two decades, the growing Chinese economy has lifted over 500 million people out of poverty. It’s not a poor country anymore. But Gucci? It turns out that when you have 1.33 billion people and a tiny percentage get mega-rich — you have a lot of rich people. Or over 1.11 million millionaires to be exact and the number grew by 31% last year! They follow only the the US (5.22 million millionaires) and Japan (1.53 million millionaires). 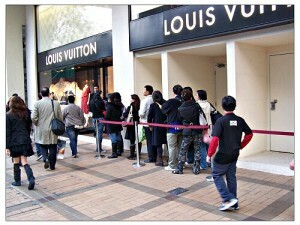 Just yesterday, I came across this oped in the New York Times about a Louis Vuitton with a line out the door. Half the staff speak Mandarin to better serve their Chinese customers who spend on average $7,000. This particular Louis Vuitton is just across the street from the Louvre in Paris.